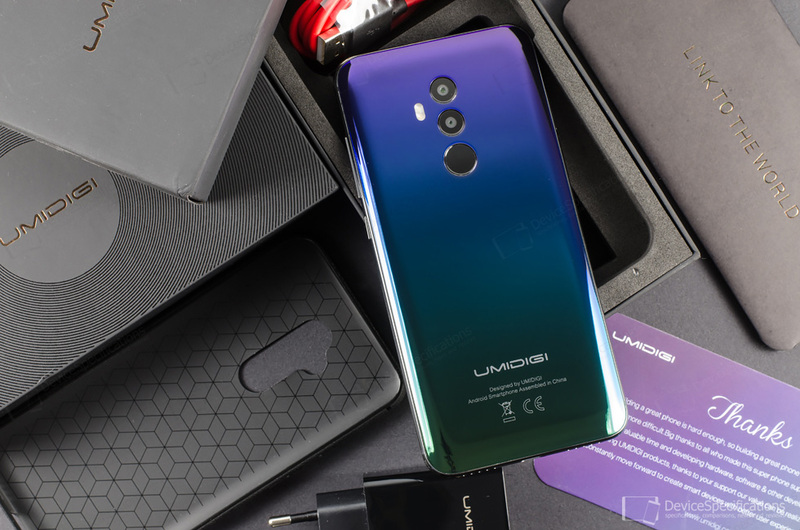 The latest UMIDIGI smartphones we have reviewed are the UMIDIGI Z Pro, UMIDIGI S2, UMIDIGI Z1 Pro and UMIDIGI S2 Pro. 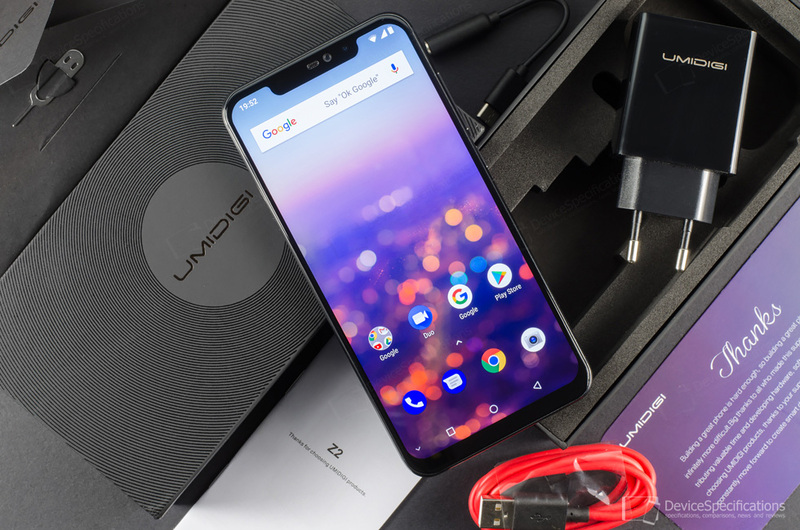 It has been a pleasure to see that UMIDIGI has gone a long way from the first UMi smartphones and that advancement is paying off to users who get better and more beautiful, yet more affordable and reliable devices. The subject matter of this review is the UMIDIGI Z2. This model and the Z2 Pro succeed the Z1 and Z1 Pro from the summer of 2017. Both offer serious upgrades in every aspect compared to last year's models and they do deserve your attention. Below we examine in detail every aspect of the UMIDIGI Z2. UMIDIGI Z2 has a big 6.2-inch display with an IPS panel with a 19:9 aspect ratio and an FHD+ resolution (1080 x 2246 pixels). It employs the latest 3rd-generation screen technology and has a wide notch. The screen is protected by a 2.5D curved glass of unspecified type. Hardware-wise, the model relies on a MediaTek Helio P23 chipset in its slightly downgraded MT6763V variant - with a 2GHz octa-core Cortex-A53 CPU and a 700MHz dual-core Mali-G71 MP2 GPU. There are 6GB of dual-channel LPDDR4X RAM clocked at 1600MHz and 64GB of eMMC 5.1 storage that can be expanded with up to 256GB. A 3850 mAh battery keeps the lights on. It supports MediaTek Pump Express Plus fast charging technology and is paired with a 5V/2A~7V/2A~9V/2A fast charger. The model can be easily used almost everywhere in the world as it supports a plethora of network bands, including 2G GSM (Bands 2/3/5/8), 2.5G CDMA (1X/BC0/BC1) and EVDO (BC0/BC1), 3G WCDMA (1/2/4/5/8), 3G TD-SCDMA (34/39), 4G TDD-LTE (34/38/39/40/41) and 4G FDD-LTE (1/2/3/4/5/7/8/12/13/17/18/19/20/25/26/28A/28B). These bands are supported by both cards simultaneously. The rest of the connectivity options include dual-band Wi-Fi 802.11 a/b/g/n, Wi-Fi Calling, Wi-Fi Direct, Wi-Fi Hotspot, Wi-Fi Display, Bluetooth 4.2. The device has two microphones, a single bottom-firing speaker, a USB Type-C 2.0 port. A headphone adapter compensates for the lack of a 3.5 jack. UMIDIGI Z2 arrives with two front and two rear cameras. The rear setup includes a 16MP Samsung S5K3P8 main shooter coupled with a 5-element lens with an f/2.0 aperture and an 8MP Samsung S5K4H7 auxiliary snapper. They are aided by a dual-LED flash and PDAF. The front setup includes a 16MP Sony IMX317 camera with a 5-element lens and an f/2.0 aperture. The second front snapper has a VGA SuperPix SP0A09, interpolated to 8 megapixels. The model runs on stock Android 8.1 Oreo.